The big 4-0 has come and gone and you realize that you need to start thinking about saving for retirement. In fact, you may be realizing that you should have started this years ago. Retirement calculators make saving enough money to live off of in retirement at your age an almost impossible task. Don't let this deter you. Everything you do from here on it will help you. The IRS has also set some rules that benefit older individuals trying to catch up in saving for retirement. Set a plan and stick to it to reach your retirement goals. Start with your company 401(k) plan. Contact your employer's human resources department. Ask whether a 401(k) plan is offered to employees, what the qualifications are to enroll and request an enrollment package. Review the package thoroughly. Understanding what you are allowed to contribute and how your employer may give you free money for contributing is a good place to create your budget and contribution plan. Many employers will match your contribution up to a designated percentage. This is free money as long as you stay with the company for the required number of years to be 100 percent vested. Each company has different rules on this outlined in the enrollment form. Consult a tax adviser to see how contributing will affect your monthly budget. One reason people are fearful about making large contributions to 401(k) plans is they fear not having enough money to pay the bills. Keep in mind that you are contributing money before taxes, thus reducing your annual income. The difference between contributing and not contributing can be minimal. Your tax adviser will be able to give you accurate numbers on several contribution scenarios. If you can't swing the full contribution amount, do as much as you can. 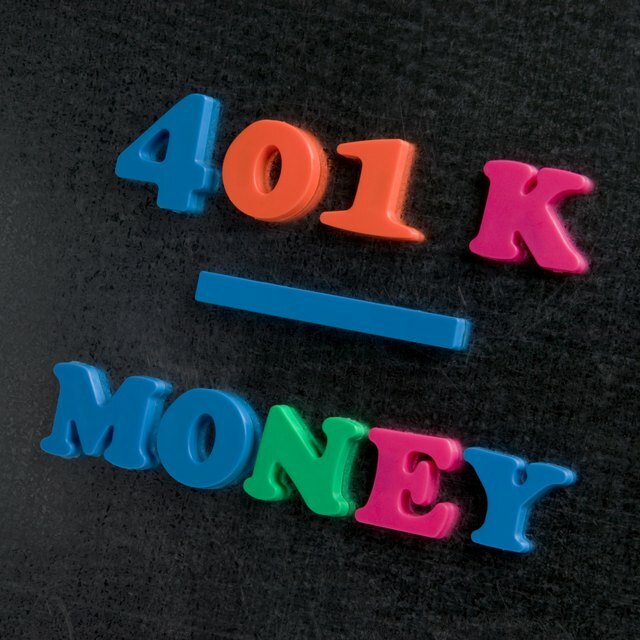 How Will My 401(k) Deduction Affect My Paycheck? Adjust monthly expenses to accommodate the difference in your monthly take-home pay. This may mean making coffee at home instead of stopping on the way to work. It could be home lunches twice a week or catching the bus to work instead of driving. Adjust what you can to achieve your goals. Talk to one of the 401(k) plan customer service representatives about the investment options available to you. They can help you create a diverse portfolio of mutual funds that will help you grow the contributions. Remember that mutual funds fluctuate and the more aggressive the fund is, the more it will go up and down. You may want to start with a balanced mix of funds that have moderate risk. Fill out your enrollment package and designated the percentage of income you want taken from your monthly paycheck. According to 2010 401(k) contribution limit rules, you are allowed to contribute a maximum of $16,500 to your 401(k) each year. When you hit 50 years old, you are allowed an increased contribution to help "catch up" as you get closer to retiring. This amount in 2010 is an additional $5,500. If you can contribute the maximum each year, you will be on your way to a better retirement.